Rieker France 19952 mens velcro shoe. It features a smooth leather upper with seam and contrast stitch detailing. The wide velcro fastening allows the shoe to be slipped on and off with ease, whilst providing adjustability and a secure fit. 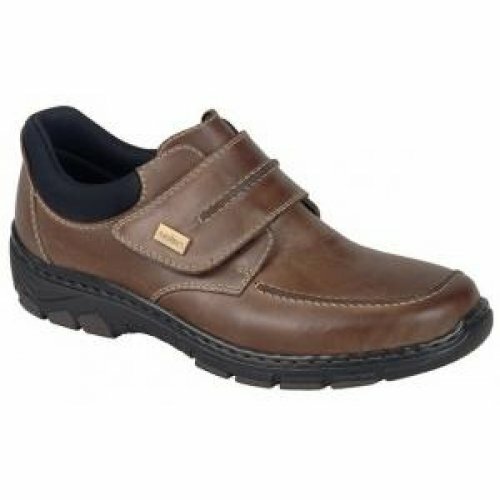 Riekers Anti-Stress technology provides shock absorption and lasting comfort, making it ideal for everyday wear. 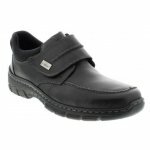 Rieker France is highly versatile as it can be worn as a casual shoe but is smart enough to wear for special occasions. Available in black and brown from a size 40-45.